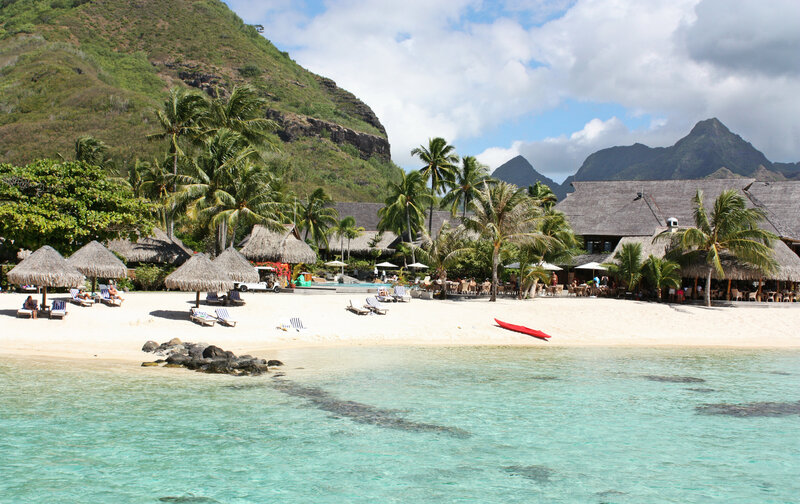 Picture of overwater bungalows, taken at the Hilton Bora Bora Nui Resort & Spa. 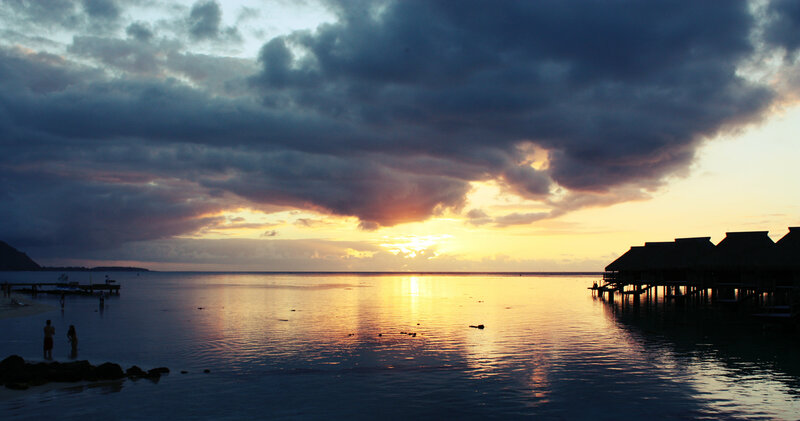 Picture of a sunset taken in Moorea, French Polynesia. 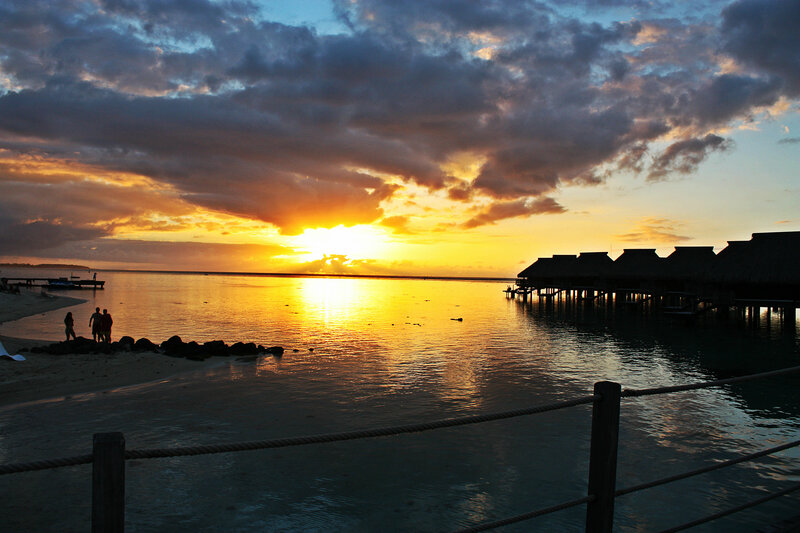 Picture taken at the Hilton Moorea Lagoon Resort & Spa in the French Polynesia.